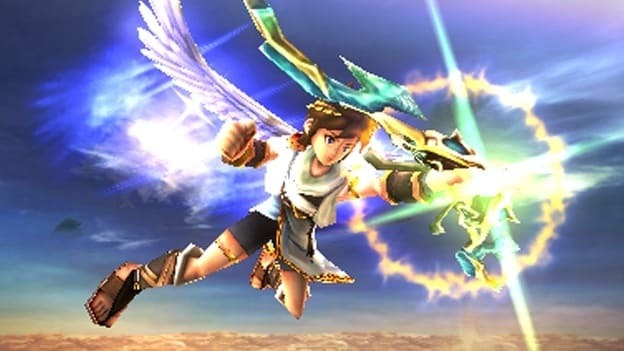 Nintendo have confirmed that they are to extend their Kid Icarus: Uprising Battle Squad events throughout summer, following a location vote held on the Nintendo 3DS Facebook page. Four additional dates have been announced, with Cardiff, Plymouth, Edinburgh and Birmingham set to host Battle Squad Events. Hosted in partnership with IGN, fans will compete to win an all-expenses paid trip to Las Vegas for IPL5, the IGN Pro League gaming event. The three challengers that beat the Battle Squad’s Pro Gamer with the largest points margin will qualify for the Grand Final in London, where they will compete to head to Las Vegas. The overall top scorer at each event will be presented with a full set of Kid Icarus: Uprising AR Cards, with all qualifiers winning £10 Nintendo eShop vouchers. Free posters and Kid Icarus AR Cards are also available to those that attend. Nintendo will also be continuing its prize draw via Twitter. To be in with a chance of winning one of eight £50 GAME vouchers, tweeters at the event simply need to be photographed in-store with Pit and tweet the image that day to @KidIcarusUK using the hashtag #KidIcarusBattleSquad.